Who has the best gig in music? 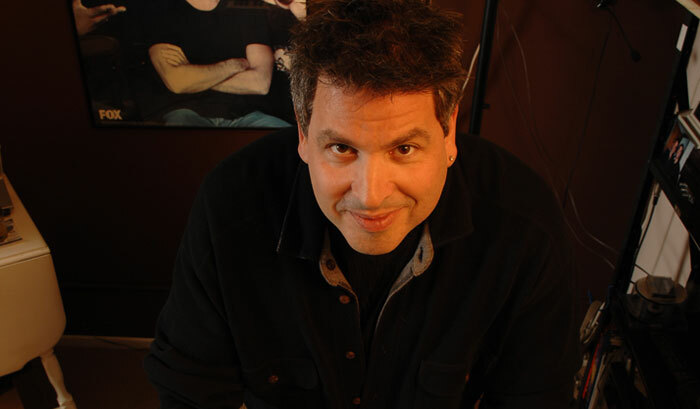 It could be American Idol Associate Musical Director Michael Orland. "I have the funnest job in the world," he insists. "I've been working on the number-one TV show in America since the end of Season One--I came onboard during the big Justin vs. Kelly finale, and I've just never left. I get to play piano for all the kids and work their songs out with them. I'm part pianist, part therapist, part friend, and part judge." I love these speakers. You get a really clear picture of what things sound like. The show's success relies on plenty of behind-the-scenes work. "There's a whole music team," Orland explains. "[Musical Director] Rickey Minor is a genius, and he's been really great to me. I work in conjunction with a vocal coach. There are a couple teams of us, and we go through the whole music-choosing process with the contestants. Once they've picked their songs--which we're not allowed to help with--I help them rehearse and get comfortable onstage." The weekly schedule is intense. "Thursday is music-picking day, and Friday we work with the contestants on the songs they've chosen," says Orland. "And this season we have a guest mentor every Saturday. We've worked with Jennifer Lopez, Tony Bennett, Gwen Stefani, Lulu, Diana Ross, Martina McBride, and Jon Bon Jovi. Monday is our big band rehearsal day, Tuesday is show day, Wednesday is results day, and then we start all over again on Thursday, picking music again." Michael's favorite part of the job is helping contestants accelerate from zero to 60 in just days. "The viewers don't see how they go from not knowing any of this to where they end up," he says. "Like in Tony Bennett week, when they were trying to find standards to sing--these kids just don't know those songs at all. But they could take a song on Thursday, and by the following Tuesday they'd be fantastic. Then hearing it with a 20-piece band on Monday, fully orchestrated! It literally sounds like you could make an album." Orland boasts an encyclopedic knowledge of popular music in addition to a solid classical piano education. "When I was 20, I moved to New York and totally fell into this piano bar job," he recalls. "I played six nights a week for five years. I learned just about every song, every show tune, every standard ever written. It's definitely a big part of my job. My bosses can come in and say, 'I want to do such and such,' and I'll just play it." Besides his work on American Idol, Orland has performed on shows including Oprah and Entertainment Tonight and played with such luminaries as Burt Bacharach, Gladys Knight, and Nell Carter. While working as a rehearsal pianist for Barry Manilow, he met backing singer Debra Byrd (later a vocal coach for American Idol) and conductor Kevin Bassinson (Idol's initial Musical Director). "They had no idea what the show was going to be," Michael explains. "And it turned into this monster, so they called me in to be an extra pianist." He also records his own music and does additional vocal coaching. "I'm working on a solo piano record," Orland says, "and I'm going to be recording most of it on my Yamaha Motif ES8. I love the sound of it so much! I'm pretty tied to the acoustic piano sound, but seriously, I press a new button and find a new sound almost every time I go in there. And I love the keyboard action--it's a joy to play. I do a lot of coaching at home, and I record rehearsal tracks on the Motif. People are always blown away by how great it sounds. Of course, we use a Motif on the show as well." Yamaha's HS80M studio monitors are another key component in Michael's home studio. "I love these speakers," he says. "They're awesome-- the sound is amazing. The singers I have in here love them, too. You get a really clear picture of what things sound like." With the expertise and empathy he's gained over the years, it's no wonder that Orland is so well suited to his work. "The relationship between a singer and a pianist is as intimate as it gets," he reflects. "And being on a show like Idol is such a fast course in performing and show business in general. Even though they all know what they're getting into, it's still hard on them. They're not only being judged by Paula and Randy and Simon--they're being judged on what they wear, what they sing, everything. So I try to maintain some humor to help them cope with it. If I can make it a little lighter and help them get through it all, I feel like I did my job."